Founder and Support Team--Delaney Insurance Agency, Inc.
Delaney Insurance Agency, Inc. was founded in 1986 by Bill Delaney, Jon Delaney and Ruth Ann Delaney. Today, Bill Delaney remains as CEO, Jon Delaney as President and CFO and Ruth Ann continues as a part of the Board of Directors with the main office located in the fast growing city of Rancho Cucamonga, CA. Bill was honorably discharged from the Marine Corps after which he attended college and immediately entered into the casualty insurance business. Bill started with and spent 15 years with Allstate and Farmers Insurance. Wanting to become more than a captive agent with limited options for his clients, Bill and his family took the bold step of becoming an Independent Agency in 1986. Delaney Insurance Agency, Inc. is an insurance agency located in Rancho Cucamonga, CA and is licensed for business in California, Arizona, and Nevada as well as 11 other states. For over 30 years we have offered a full range of insurance coverages, business solutions and superior service to our clients. Delaney Insurance Agency, Inc. represents "A" rated carriers that are aggressively seeking new clients that fit their appetite. Our strategy is to match these carriers with the right clients. This marketing approach enables us to offer the broadest coverage at the most competitive rates. Experience and professionalism combined, Delaney Insurance Agency, Inc. has a reputation for timely and efficient service. Our entire staff takes great pride in their ability to offer service above and beyond the norm. You can truly depend on Delaney Insurance. 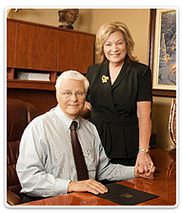 Integrity: Partnering with Delaney Insurance assures you the highest level of integrity. We have built our business on this premise. Accountability: It is a rare company that can achieve excellence daily. Our formula is simple. Performance beyond our client's expectations. Competition: We continue to meet a broad range of needs through continued marketing, underwriting and placement of our clients' needs. Our mission is to offer the best insurance coverage at the lowest price point to our clients. Value Added Services: 40% of your valuable time is spent on paperwork concerning Management and Compliance. Let us help you! Delaney Insurance offers Value Added Programs & Services to help with the operations, HR, safety and compliance issues of your company. Typically, we can provide these at no cost to you!